Federal court is different. Most crimes are handled by local police officers, so most lawyers aren’t experienced in defending criminal cases in federal court, where the prosecutors, judges, juries, and procedures are different than they are in California state court. Law Offices of Jerod Gunsberg is able to provide a practical, tailored defense based on our extensive experience in Federal court in California. Federal law enforcement agencies in California take an extremely tough stance with respect to the manufacture, distribution, sale, use or possession of methamphetamine. This is in part a matter of geography. About 80% of the meth that is used in the United States is thought to be manufactured in large-scale labs in Mexico. The remaining 20% is manufactured domestically in small labs. Because of this pattern, Southern California is an essential distribution point for methamphetamine. This fact helps explain two essential aspects of federal methamphetamine prosecutions. When Federal Customs agents, the DEA or FBI get involved in a methamphetamine case, they aren’t looking for a single user. As indicated law, federal law does make it a crime to possess any amount of methamphetamine, but that’s not what federal prosecutors are most interested in. They are looking for big fish—the network that manufactures, sells, and distributes methamphetamine. The most common mistake made by people arrested in connection with a meth case is to assume that their involvement was too minor to be a real problem. That is not how federal conspiracy law works. Under 18 U.S.C. Sections 371 and 846, when people are charged with participating in a conspiracy they can be found guilty of all the illegal acts committed by any member of the conspiracy. Thus, for example, even someone who had a small role in a meth operation, such as allegedly picking up or delivering just one package, is charged with the overall conspiracy to manufacture, distribute, or sell methamphetamine. In other words, every person involved in a federal meth case can face extremely long prison sentences, even if their personal involvement is very minor. Because federal agencies are focused on uncovering conspiracies, they take a different approach to conducting interviews and interrogations than most local police departments. In an effort to encourage people to talk and share information, FBI, DEA, and Immigration agents often know more than they disclose. Thus, they may tell someone that they are only a witness. They may leave their business card on someone’s card, asking them to call. They don’t disclose, however, that they may have already obtained damaging documents or statements from other people about the “witness” they are encouraging to talk. Don’t do it. Ever. Never talk to a federal agent or prosecutor before first speaking with an experienced federal methamphetamine lawyer. This can be the single most important step you can take to help yourself. 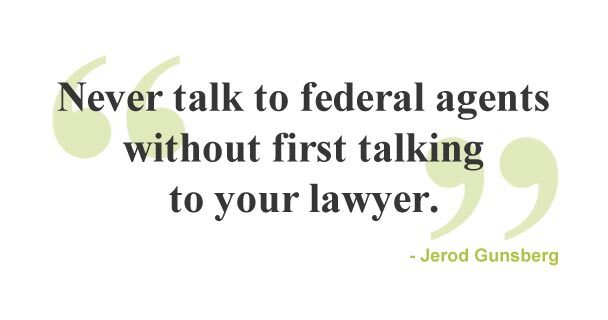 And if you have already started talking to federal agents, stop and call an experienced methamphetamine lawyer ASAP. This single step can be the difference between serving a long prison sentence or getting a much better result. Methamphetamine is a white powder that is commonly called Speed, Meth, and Chalk. It can be smoked, snorted, injected, or taken orally. When smoked, it is commonly called Ice, Crystal, Crank, and Glass. Meth is a potent stimulant, and under the Controlled Substances Act is classified as a Class II substance—one that has a high potential for abuse, and that abuse may lead to severe dependence. that there was knowing possession or control over the Meth or Meth mixture. Under 21 U.S.C. Section 844, the penalties for simple possession of meth depend, in part on the number of prior violations. Thus, for example, someone with no prior convictions can be jailed for up to one year and be ordered to pay a fine of at least $1,000. Someone with 2 prior convictions for meth possession is subject to a jail term between 90 days and 3 years and a minimum fine of $5,000. The distinction between simple possession and possession with intent to sell Meth is critical. There are significantly more severe penalties under federal law if the Assistant U.S. Attorney (the prosecutor) can prove beyond a reasonable doubt that the person charged had an intent to sell Meth. The absence of paraphernalia suggesting that the Meth was for personal use. The penalties for possessing Meth with an intent to sell are substantially more severe than for simple possession. For between 5 and 50 grams (about 2 ounces) of pure Meth and between 50 and 500 grams (1.1 lbs.) of Meth mixture, the minimum sentence is 5 years. For 50 and more grams of pure meth and more than 500 grams (1.1 lbs.) of Meth mixture, the minimum sentence is 10 years. Possession of large quantities of precursor drugs such as ephedrine and pseudoephedrine. Equipment commonly used to make Meth, such as red phosphorus, hydrochloric acid, lye, hydrogen chlorine gas, cloth or other materials used as filters. Evidence of distribution of Meth or Meth mixture includes measuring equipment, such as scales, large amounts of cash, and multiple cell phones, and sales records. Under federal law, penalties depend on the quantity of Meth or Meth-mixture involved, whether this is a first or second offense, and whether the distribution of Meth caused serious bodily harm or death. The maximum sentence for even a first offense can range from 40 years to life in prison. In addition, federal judges can impose severe financial penalties on individuals, up to $20 million. Federal law also makes it a crime to possess precursor chemicals that are used to make methamphetamine. The most serious penalties are for applied to people who possess precursor chemicals with an intent to make meth or with the belief that the precursor chemicals will be used to make meth. Under these circumstances, possession of precursor chemicals can lead to a prison sentence of up to 20 years. In response to the perceived growth in Methamphetamine use, the federal government limited even the over-counter- purchase of drugs that contain precursor chemicals. In 2005, Congress passed the Combat Methamphetamine Epidemic Act (CEMA), which regulates the over-the-counter sale of ephedrine and pseudoephedrine, two precursor chemicals in the manufacture of meth. Ephedrine and pseudoephedrine are also ingredients in popular cold and allergy remedies such as Actifed, Claritin, and Sudafed. If you go into a pharmacy and try to buy even a single box of these products, you may be required to show identification and sign a log at the pharmacy. In addition, CEMA makes it a federal misdemeanor to buy more than 3.6 grams of “pseudoephedrine base” per day and 9 grams per month. Local Expertise in Federal Courts. There are four federal courthouses in Los Angeles, Orange, and San Bernardino counties. Two, the Federal Courthouse on Spring Street and the Roybal Federal Building on Temple Street are located in downtown. These courts generally handle federal methamphetamine cases that originate in Los Angeles, Ventura, Santa Barbara, and San Luis Obispo counties. The Ronald Reagan Federal Courthouse is located in Santa Ana and handles Orange County cases. The George Brown Federal Courthouse is located in Riverside and handles cases from Riverside and San Bernardino Counties. Each of these courthouses has separate judges and the Santa Ana and Riverside courthouses use a different jury pool than the two L.A. Courthouses. The Law Offices of Jerod Gunsberg has years of experience in defending federal drug cases and negotiating with local federal prosecutors. Whether it involves representing people who have told that they are only “witnesses” in a meth case, or thoroughly reviewing police searches and seizures of client property that were conducted with or without a warrant, we are able to provide an aggressive and practical defense in methamphetamine cases based on our extensive experience in Federal court.